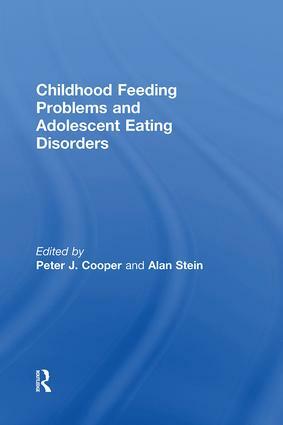 How should feeding problems arising in childhood and later eating disorders be assessed and treated? Disturbances in eating arising in infancy, early childhood and adolescence are increasingly being recognized as a major source of distress and disturbance to young people and their families. treatment of anorexia nervosa and bulimia nervosa. The contributors discuss important issues such as the influence of maternal eating problems, the consequences of early feeding problems and the management of early onset anorexia nervosa. This book will be an important resource for all the paediatricians, psychologists, psychiatrists, nurses, nutritionists and other health professionals concerned with the assessment and treatment of these major clinical problems. Alan Stein is Professor of Child and Adolescent Psychiatry at the University of Oxford and an honorary Consultant in Child and Adolescent Psychiatry with Oxfordshire Mental Healthcare Trust.